Sherry Bonelli is a nationally recognized SEO expert and digital marketing professional. She entered the digital marketing world in 1998 when she launched her first ecommerce business selling pregnancy and baby products. Her ecommerce site was selected as one of the top 10 websites by a leading pregnancy magazine, and she appeared on the TODAY Show, CNN, ABC News, MSNBC and other media outlets. 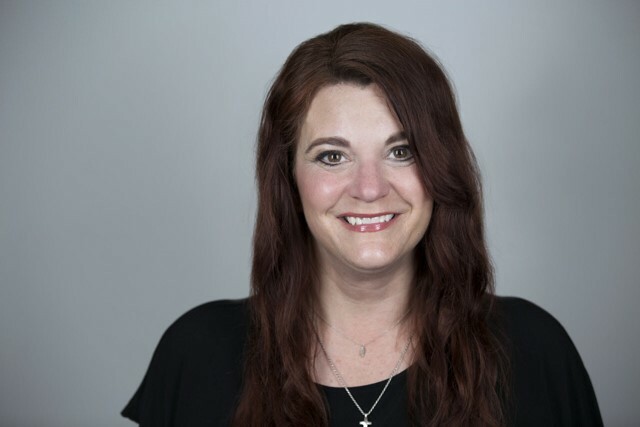 Her digital marketing agency, early bird digital marketing, is in Cedar Rapids, IA, but she serves clients all over the U.S. Sherry is passionate about helping her clients grow their businesses through integrated digital marketing strategies. She is a recognized national presenter, speaking at industry events, webinars and podcasts, such as Traffic & Conversion Summit, SMX, SCORE, MozPod, SEMrush, The Edge of the Web, The Local Business Leaders Podcast and others. Sherry also holds a Master of Internet Marketing. As a guest columnist for some of the leading SEO and digital marketing websites, like Search Engine Land, Moz, SEMrush, GeoMarketing/Yext, BrightLocal, SCORE and others, she’s earned recognition by having some of the most shared local SEO blog posts on the internet -- one of her blog posts was recently recognized as Search Engine Land’s second most popular local SEO post in 2017. Sherry also received Search Engine Lands 2018 SEO Contributor of the Year Award. In her “spare” time, she volunteers as a SCORE Mentor. As a SCORE mentor at the SCORE East Central Iowa Chapter, she enjoys helping businesses identify their digital marketing strategies. August 7, 2018, Are you thinking of starting an online store? Ecommerce sites are a great way to make money, but there are many things to consider. This webinar will demonstrate how to optimize YOUR Google My Business listing and other local search strategies that your competitors probably aren't using. May 30, 2018, As a local business, you should first start strategizing on what you can do on (and off) your website to beat your competitors’ rankings. February 26, 2018, Influencer marketing is the modern-day equivalent of a “celebrity spokesperson” endorsement of your business, products or services. December 20, 2017, One way to increase your odds of ranking higher on Google is by claiming and optimizing your free Google My Business (GMB) online business listing. October 19, 2017, The whole purpose of your business’ website is to get found when potential customers search online for keywords related to your business’ niche or industry. August 7, 2017, Social media is where your customers are spending their time. Through social media and video, you can engage with your customers like never before. Why Is Your Company’s Online Reputation So Important? July 10, 2017, Not only do great reviews help give consumers trust in your business, but reviews can also help you rank higher on the search engines. Videos are now a digital marketing must. ANYONE can create them, as expensive equipment and fancy studios are no longer a requirement. June 12, 2017, Reputation marketing and online reviews are taking the business world – and digital marketing industry -- by storm. Learn how to manage your company's reputation.